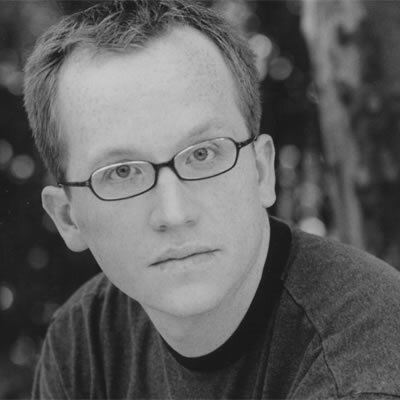 Chris Gethard is a New York-based comedian. Born and raised in New Jersey, his comedy is fueled by personal experiences along with a devoted community of fans and friends. He started performing at Upright Citizens Brigade over 10 years ago and has a natural ability to connect with his fans. This connection is especially apparent in each episode of his talk show The Chris Gethard Show. The show which began as a monthly stage-show at UCB in 2009 has grown substantially to a weekly public access show with a cult following. Each episode is an interactive experience immersing Chris with his regular panel members, special guests, a live audience, callers, musical performances, and more. Fans are known to create zines, devise “unofficial” drinking games, and there is even a video game in the works. Chris had a memorable recurring role as Derek on season one of Comedy Central’s Broad City, wrote the hilarious autobiography called A Bad Thing I’m About To Do (De Camp Press, 2012), and recently appeared on This American Life in an episode entitled Bad Baby. His first comedy album titled appropriately enough My Comedy Album will be released tomorrow (April 22, 2014) on the New Jersey-based Don Giovanni Records. In the interview below, Gethard talks about comedic influences, his relationship with vinyl, the new comedy record, and the future of The Chris Gethard Show. BorrowedNostgalia: In three words, how would you describe your comedy for those who aren’t familiar? Chris Gethard: Honest, sometimes strange. Talk a little about your comedy album, My Comedy Album. Where did the material come from? How much of the material was shaped by your childhood or experiences as an adult? Who are some of your comedy idols? The material for this album is all my stand up from the past few years recorded for posterity and preserved forever on vinyl (and also digitally). My stand up is really mostly storytelling based, so the bulk of material comes from real experiences I’ve had and me figuring out ways to craft them into digest-able pieces of entertainment that can get a few laughs here and there when possible. A lot of what’s on this album comes from my more recent adult adventures, though there’s a story or two that go back to childhood. As a native Jersey comedian releasing an album on a Jersey label, Don Giovanni Records, what role do you think these sorts of labels play in distributing material of independent artists? How did this partnership come about? I’m not sure about the relationships between artists and labels anymore. I think both artists and labels would say that the internet and self-distribution make all of these relationships more fluid. For me, I wanted to be with Don Giovanni because I really love what they do and think they’re a label that really reflects my background and values. I started doing comedy at Rutgers in New Brunswick, NJ and I think they’re famous for bringing the New Brunswick basement punk scene to the larger world. So that made sense. Plus I think if you look at the size and scope and values of Don Giovanni, they really match up with where I’m at as an artist right now. I think the guys who run the label and I have a similar background in where we grew up and how we grew up and what we think the right way to do this is, so it just made a lot of sense. The partnership came about slowly and organically. We have many musical guests on my public access tv show, and a lot of Don Giovanni bands have appeared on the show because they’re some of the coolest things going on the east coast and we made a point of booking them. On top of that, the members of our public access house band have long time connections in the punk world, and Mikey Erg in particular has a lot of Don Giovanni/New Brunswick connections. So it made sense. As I became friends with the bands playing our show they started inviting me to perform on our shows, then Joe from Don Giovanni and I saw each other at the showcase he puts on for his label’s acts each year and we hit it off personally, and then when I thought about doing an album I asked if he’d ever consider it and it just made sense because of how our relationship had grown and because I’ve been a small part in an odd way of the local music scene due to TCGS. Why did you decide to press your comedy album on vinyl? Because vinyl is rad! That’s cool, to have a record. That’s most of why I wanted to do this. The Creek and The Cave is a great indie comedy theater in Long Island City, and they offered me a week straight of shows there. I thought about recording some of them, and Joe said if I did he’d release it on vinyl. That was really how it all came together. I’m super psyched to have a record. I’ve always been into ’em. What’s your relationship with records? Where are some you favorite record stores, if any? What have been some of your best finds? I live right near Permanent Records in Greenpoint, which is a great place. My all time favorite record store was called Let it Rock and it was on Bloomfield Avenue in Montclair, NJ. It was the best, and it’s where I learned everything I ever knew about punk in my earliest days. My greatest record find, easily, was finding what I can only assume was the collection of someone who had sadly died in the garbage in Queens one day. I found about three boxes that were full of records by Black Flag, the Replacements, the Rolling Stones, David Bowie, and just tons of other super cool rock stuff from the pre-punk days and all this weird early punk stuff. No one who took the time to collect all that would just throw it out, and anyone who knew about records would know they could sell it, so my guess is somebody passed away and their records wound up in the trash. I was very happy to rescue them. Swearin’, Tenement, Andrew Jackson Jihad have been the ones I’m obsessing over the next few weeks. What’s next for you? What’s been going on with TCGS? Is there anything you can share about the pilot? [On the Comedy Central pilot] There is no news on! Keep your fingers crossed for us. As for me, I’m just gonna be having fun on Comedy Central, taking to the road to do shows, and enjoying this dumb life I’ve managed to lead. Also I’m gonna get married in the summer, so that’s stressful. Thanks again to Chris for his time! Check out TCGS Tumblr and follow Chris on Twitter (@ChrisGethard). You can buy his new album,My Comedy Album, online here. Tickets are still available for tomorrow’s Chris Gethard & Friends Album Release show at The Knitting Factory, Brooklyn, NY. ← Welcome to Borrowed Nostalgia!